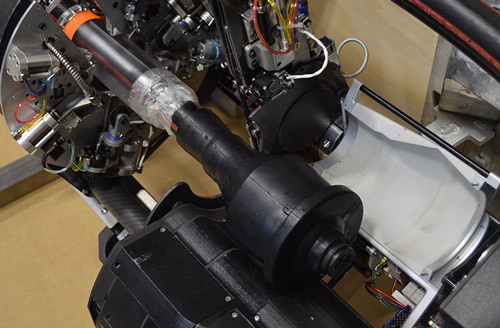 ULC Robotics, Inc. and Con Edison have developed a field demonstrable machine capable of performing complex operations on medium voltage feeders in underground vaults. During outages, the Cable Splicing Machine enables utility personnel to prepare the cable and install a Cold Shrink Cap or Live End Cap. By removing the splicer from the vault, worker safety is improved and the overall feeder outage is reduced. Splicers are able to remotely prepare a cable and install a Cold Shrink Cap / Live End Cap on cables to reduce risk to workers. Reduced set up time and automated operations enable utilities to significantly reduce the time it takes to get feeder lines re-energized. Shorter outage durations reduce stress and associated risk of cascading outages in the network and minimize possibility of customer outages. Pre-programmed operations ensure work on cable ends are carried out with the highest level of accuracy and consistency, leading to a reduction in fault occurrence. The Cable Splicing Machine is designed to be installed in a crowded manhole and was developed to avoid interference with other features in the vault. The machine’s functionality and capabilities will expand to enable it to conduct multiple types of operations on different varieties of cable. 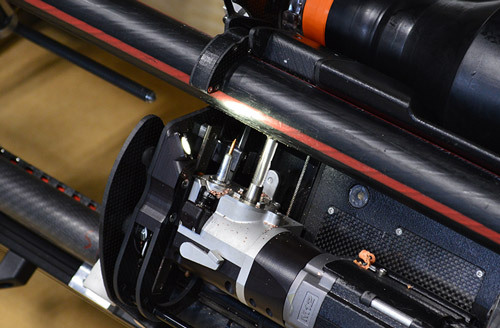 The prototype Cable Splicing Machine was initially developed to install a Cold Shrink Cap / Live End Cap (LEC), which is a type of splice used during adverse system conditions to expedite feeder restoration. This process involves separating the cable connection and re-insulating part of it to allow a selected portion of the feeder to be re-energized. Future developments will aim to expand the types of splicing operations that the machine will be capable of performing. The machine first creates a short between the flat strap neutrals and conductor to ensure field end is grounded. A specialized saw on the machine is used to cut through the cable. 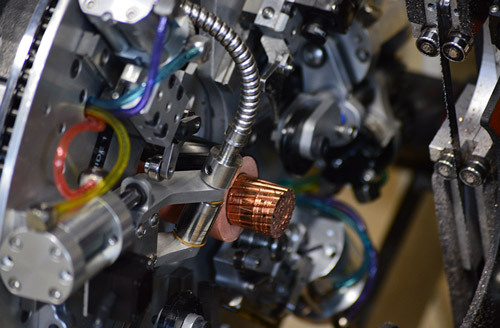 A complex array of tooling on the machine is used to cut and remove each layer of the cable. The Cold Shrink Cap / Live End Cap is pushed onto the cable until the end cap is fully engaged. The core of the end cap is then removed. Con Edison of New York provides electric service to approximately 3.3 million customers and gas service to approximately 1.1 million customers in New York City and Westchester County. The company also provides steam service in parts of Manhattan. ULC Robotics is a leading robotics-as-a-service (RaaS) solutions provider and developer for the energy industry, transforming the way that vital infrastructure is maintained and operated. 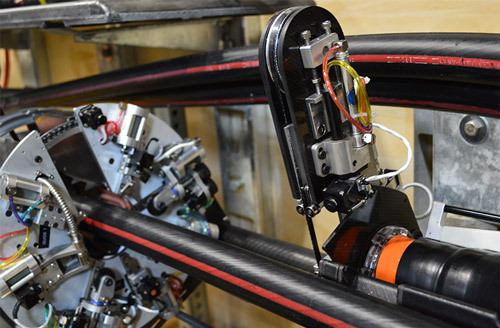 As the key project partner, ULC’s team of mechanical and electrical engineers, sensor scientists, technicians and project managers are responsible for designing and developing the field demonstrable prototype of the Cable Splicing Machine. Have a question or want to get involved? Use the form below to ask a question about the Cable Splicing Machine and a member of our team will respond as soon as possible. 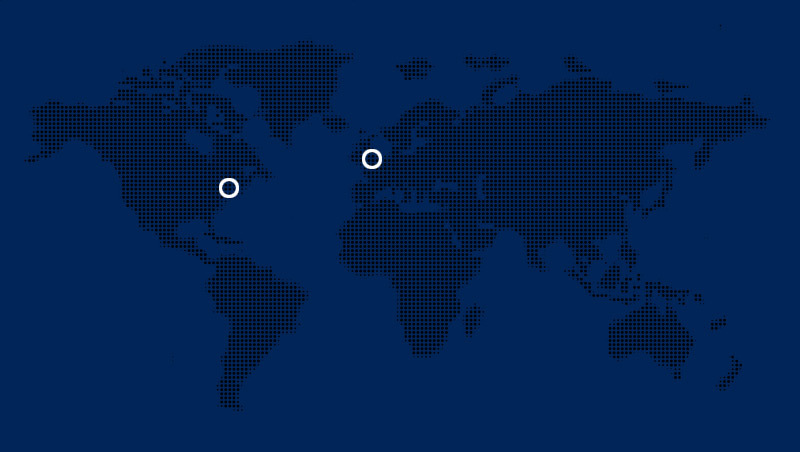 Want to get project updates? Sign up for our newsletter.